WOW! Now listed for appraised value. 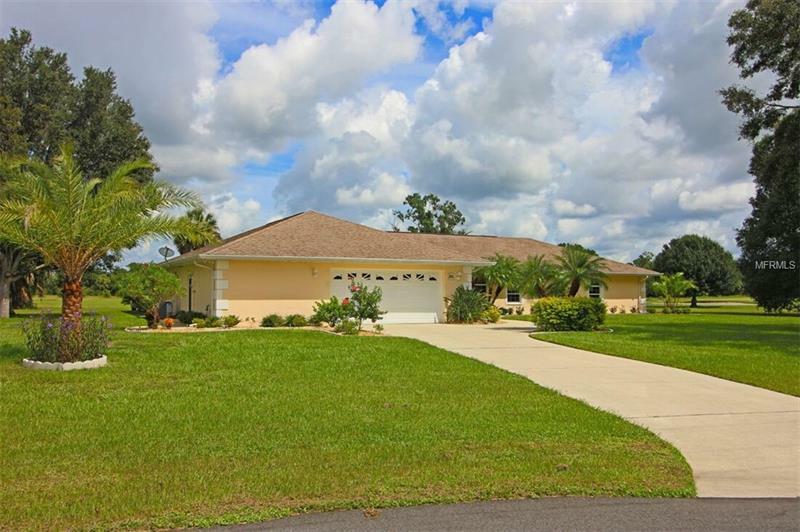 Spacious, custom built, golf course home on 3/4 acre, nestled in neighborhood of newer homes. House is updated and well maintained. 2 bedroom, possible 3 bedroom home, looks, feels newer than it's years. With an open, flowing design, many double-pane palladium windows and recessed sliders, the house glows with natural light. Enjoy entertaining friends and family on the gigantic lanai and large pool. Even none golfers marvel at the 180 degree, panoramic view of the golf course. Plenty of storage. You have a huge 600+ square foot garage, with work bench, 220 power supply, floor to ceiling cabinets and large attic space. Home boasts new exterior paint, tile thru out, quartz counters, recessed lighting, high end fixtures, Italian marble vanities and tumbled marble back splashes, handcrafted wood cabinets, kitchen R/O system, new ac capacitor, new hot water heater, new dishwasher, rebuilt water softener, 30 year architectural shingled roof and one year home warranty. If you like to fish, sight see or pleasure boat, you have 2 nearby public boat ramps and the Old DeSoto Marina and Navigator Bar & Grill is just 10 minutes away. Plus, home is just a short ride to quaint, historic Punta Gorda and nearby banks, parks, shops, boutiques, restaurants and entertain venues. Call today for a private tour. You will be so glad. Copy of 2018 appraisal available. Most furniture, generator, lawn tractor, and golf cart included at no extra cost. Seller has a quote to install 3rd bedroom. Disaster Mitigation: Above Flood Plain, Fire/Smoke Detection Integration, Hurricane Insur. Deduction Qual.